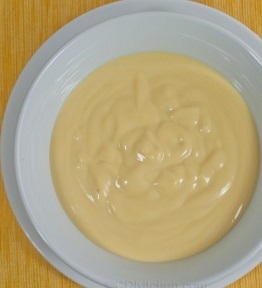 If you are a mustard lover, you will love this Mustard Sauce Recipe like my husband and many of the restaurant guests do. Your taste buds will celebrate! 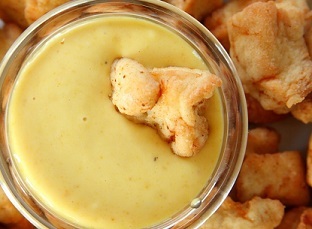 This sauce recipe creates a very delicious, creamy mustard sauce that is absolutely perfect for ham, pork tenderloin and some other pork recipes. Restaurant customers also request this sauce recipe when they order salmon or chicken. They love it! Good with some veggies? Good with pretzels? Yep. Sauce recipes are a wonderful way to enhance many foods that might otherwise be thought of as "standard" fare. A good sauce recipe takes your food to a new, higher level of eating experience. I don't remember where this recipe came from originally, or how it was developed, but I have used it successfully for many years. It has been a favorite restaurant recipe for a long time and is now yours to enjoy! This sauce can also be reheated over simmering water if there is any leftover - but it is likely there won't be! Enjoy your creamy, rich textured Sauce Recipe and the company of those you share it with! Did you know? 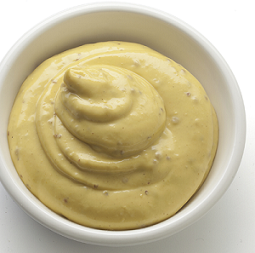 The use of mustard as a hot dog condiment was first said to be seen in the U.S. at the 1904 St. Louis World's Fair, when the bright-yellow French's mustard was introduced by the R.T. French Company.